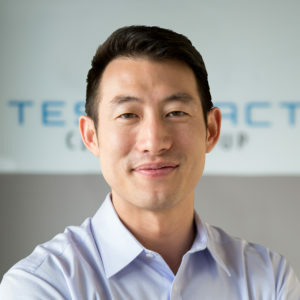 Benjamin Jiang is a co-founder and Managing Partner of TCG. Mr. Jiang oversees the firm’s overall strategic vision and is primarily responsible for developing and executing the firm’s investment strategies. Mr. Jiang specializes in investment sourcing, capital raising as well as the management of key strategic partnerships. Mr. Jiang has a 13 year track record of investing as a transaction principal and is institutionally trained in all facets of the commercial real estate industry including brokerage, underwriting, investment banking, and private equity. Prior to joining TCG, Mr. Jiang spent time in Bank of America’s Real Estate Investment Banking Group, Prudential Financial’s commercial real estate lending group and Bridge Partners’ acquisitions team. In aggregate, Mr. Jiang has facilitated the purchase and sale of over 6,000 commercial multifamily units across the nation and $2B in loan originations. He has an extensive specialization within the multifamily industry having completed transactions in affordable housing, student housing, senior housing, mixed-use projects and conventional apartments. Mr. Jiang received his Bachelor of Arts from the University of California, Berkeley and is a licensed California Real Estate Broker.